We're getting back into the routine of living in the marina; the Ocado delivery turned up just fine not long after ten. At the time we had just finished helping John and Nev tie Waimaru on Y4; a family emergency means that they've had to return home. We hope everything gets sorted for them soon; at least it means we'll get to see them again. It was another great night last night, anyway. Helen came round for a coffee after lunch and brought us up to date on what's been happening whilst we were away. Elanor and Sally are coming over at six to get some exercise. the Heritage Towpath Trail along the Lichfield Canal. The Trust is now one of four contenders in the local group: the best good cause gets £3,000, 2nd £2,000, 3rd £1,000, 4th £500, determined by the extent of support by public vote. Voting is very simple by going to https://lly-cf.com/LNC and click ‘VOTE FOR US’. You might be able to cascade it to others through Facebook, Twitter or Linkedin. Also, one can send a text message ‘VOTE LNC’ to 61119. Those in the Lichfield area can visit Lloyds Bank branches in Lichfield, Rugeley or Uttoxeter and place as many plastic tokens as possible in the collecting box in the bank. before the closing date of 10th October 2014. Thank you! 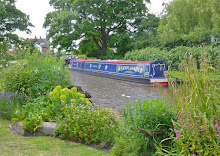 Lichfield & Hatherton Canals Restoration Trust Ltd.